Ben & Erin. A 1970s Backyard Wedding. Ben & Erin. A favourite, not because the theme was different, but because their wedding represented their identity of home. Walking into their home in Kew, it was if you were transported back to the 70s. The wood panelled rooms, the colourful motifs, the glass cabinets. 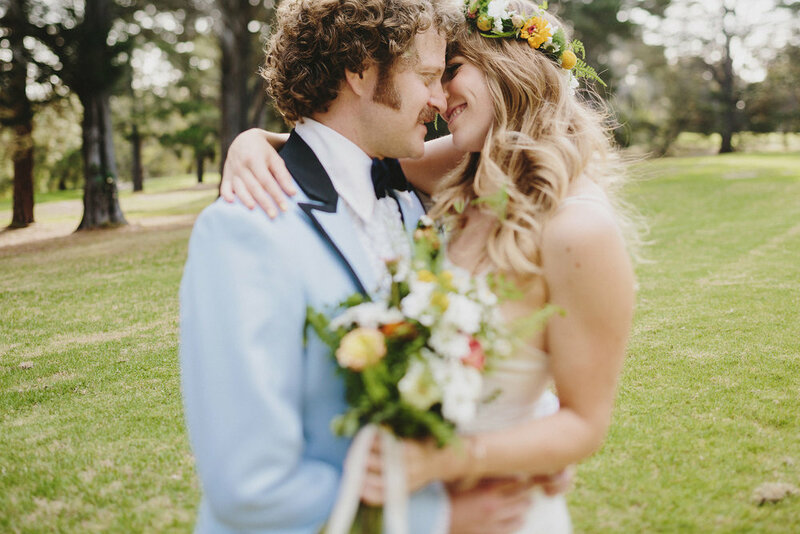 Their wedding was an extension of that, quite literally, as their backyard was themed in the 70s to celebrate their union as one. That's what I love about backyard weddings - the warmth of family, the honesty & vulnerability of opening one's home, the organic nature of the day as it unfolds, the process that has gone into making a backyard into something beautiful & magical. It's a combination of home & wonder; it's everyday magic. This is a story about everyday magic; my favourite kind. Ben & Erin, get married in their backyard, as if it was 1970. Enjoy.